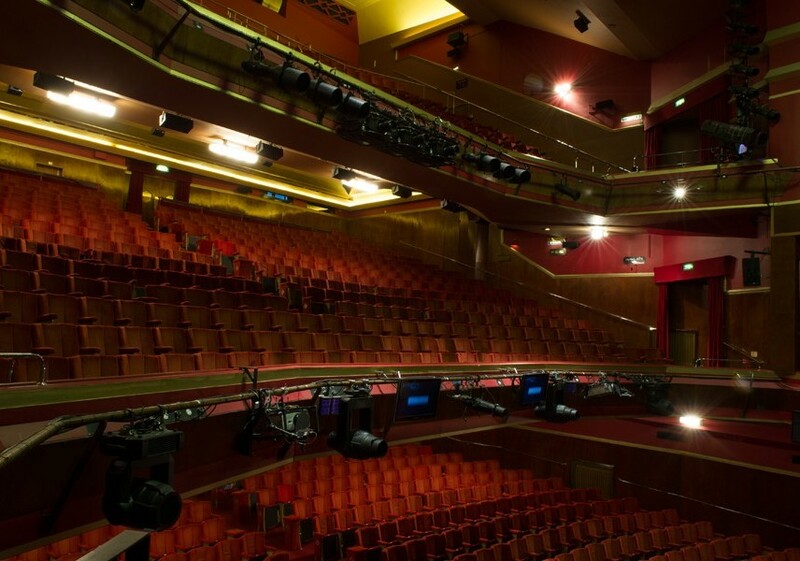 The current theatre is the fourth venue on it’s site in the Strand. The first building opened on 27 November 1806. 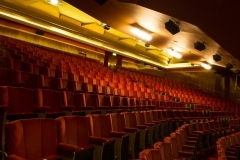 The first theatre was The Sans Pareil (which was renamed the Adelphi in 1819, the the Theatre Royal, Adelphi, in 1829). 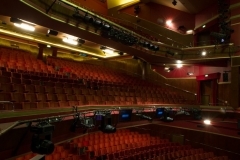 A second theatre built in 1858 took the name Theatre Royal, New Adelphi from 1867 onwards. 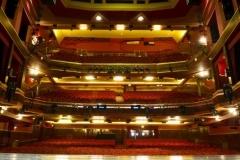 In 1901, the third building, reconstructed to provide a new frontage on the Strand, opened as The Century Theatre, but within a year it reverted to the Royal Adelphi. From the official history website. 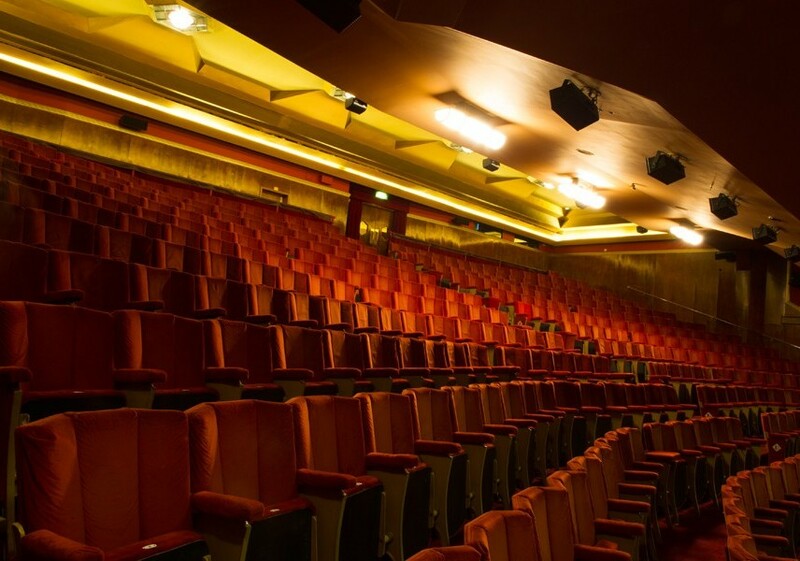 The Adelphi was one of five theatres that were almost demolished due to a plan to redevelop the Covent Garden area by the Greater London Council (GLC), in 1971. 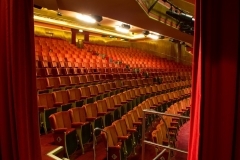 The GLC planned to build new theatres to replace them. However, the plan was abandoned in 1973 after a campaign by the Covent Garden Community Association. Guardian article about the plan which contains fascinating insights into the financial workings of West End theatre in the 1970s. Electrics: Strand board in Dress Circle box SL. 150 dimmers x 2.5kW; 2 presets; 20 groups. Circuits – FOH 29; Flies 88; Stage dips 28. Total capacity available – 400A on 3 phases. Special effects supply – 150A on 2 phases. Socket type – 15A. Follow spots – 3 sunspots. Footlights installed but can be covered. 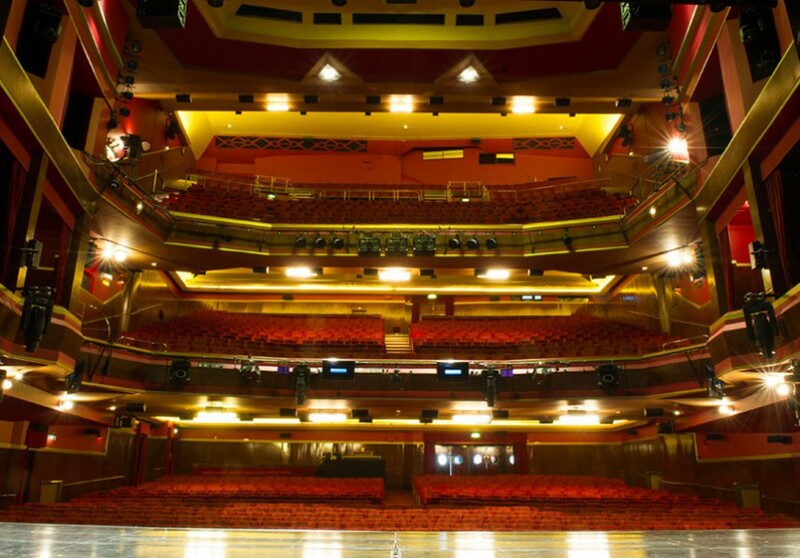 Sound: Console in Dress Circle box SL. 2 amplifiers. 2 tape decks. No turntables. Mic sockets – 12 jack plugs. 10 loudspeakers. Switchboard: MMS Desk; 150 ways; FOH Spots 29 Auto; 4 Battens; 80 Dips. 2015 – Refurbishment – new bar in the foyer and more improved toilets. 2012 – Refurbishment – new toilets and movement space in the basement, next to the Jessie Matthews Bar. 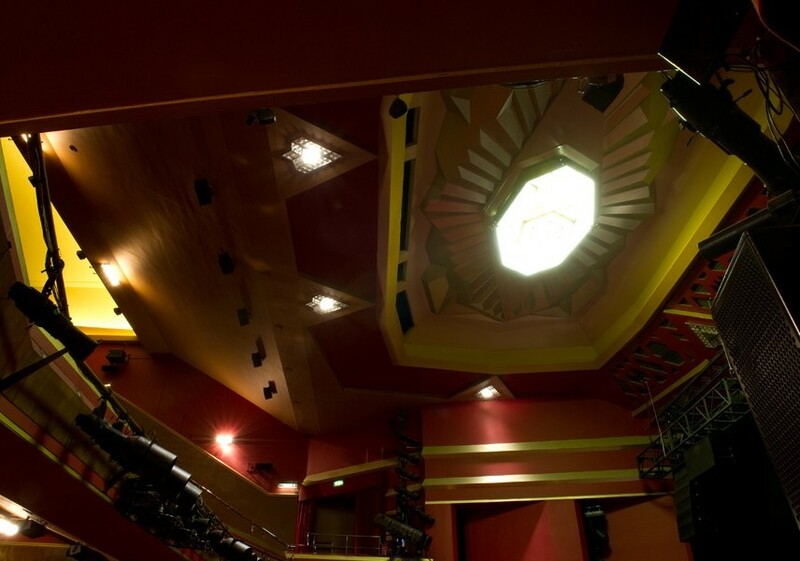 1993 – Theatre restored, prior to the opening of Sunset Boulevard restoring original art deco features. 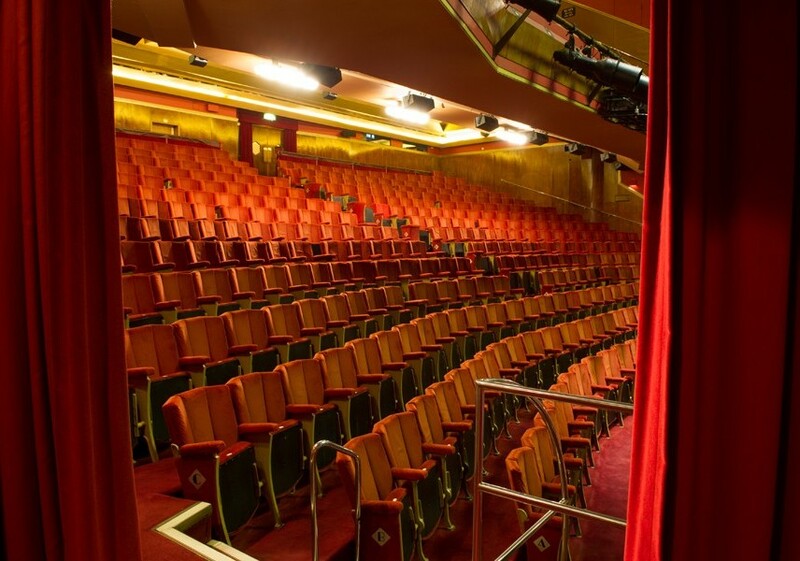 1940 – The ‘Royal’ epithet was dropped, leaving the theatre called The Adelphi.